Plants terrestrial. Rhizome creeping, branched. Fronds monomorphic, pinnate, proliferous with numerous buds on the rhachis. Lamina without scales, basal pinnae reduced. Veins of the pinna lobes with more pairs meeting below the sinus between the lobes. Rhachis with some hairs forked or branched. Sori circular, exindusiate. 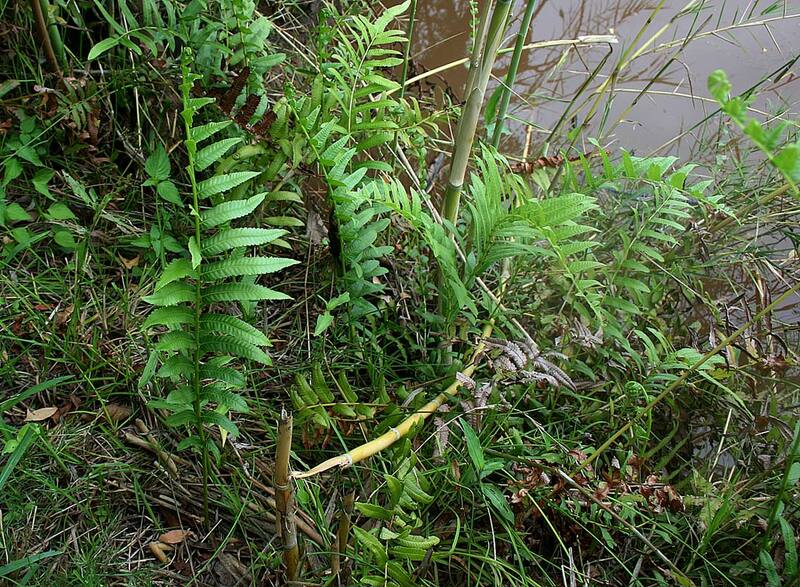 Derivation of name: ampelos: vine, pteris: fern; referring to the rambling habit. Worldwide: Widespread throughout the palaeotropics. We have 1 taxa in the database for Ampelopteris.